Hello Altenew friends. It’s Lilith with another layout. 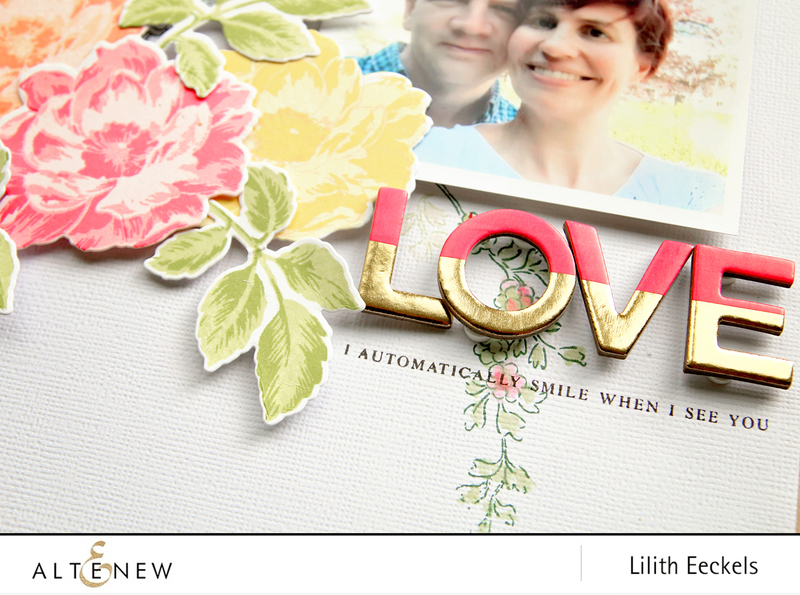 Today I’ll be using the Beautiful Day stamp set to create a bright flowery layout. I love all our card designers and I’m in awe of their stamping skills. 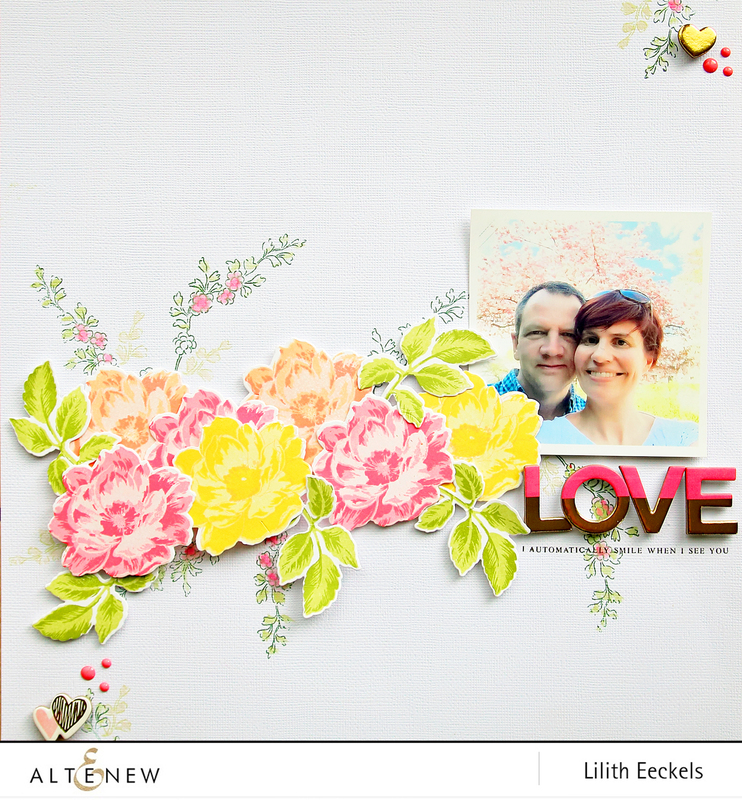 I love seeing their cards with beautiful flower stamps and I really wanted to create something similar but use it on a layout. It went a lot smoother than I thought because the stamps are super easy to use. You really can’t go wrong. I used several inks to create the look. The most important thing is to have 3-4 ink tones going from light to dark. 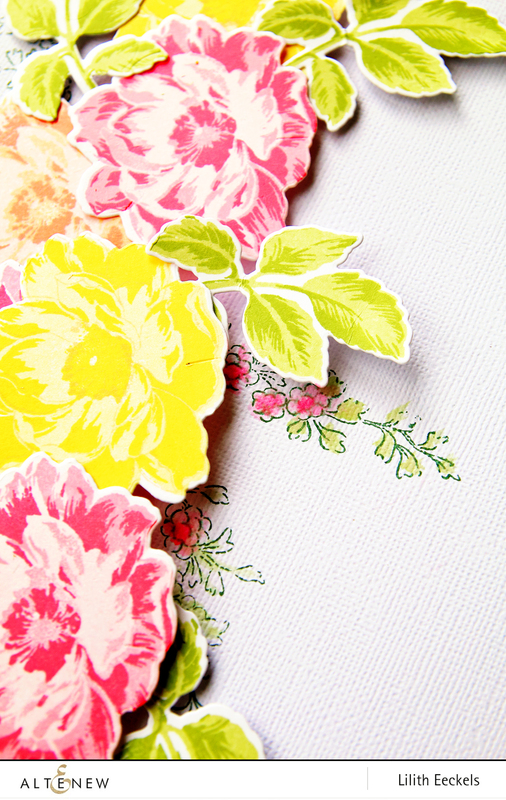 I used three tones for each flower (so 9 inks in total to create three different flowers). The Altenew inks are perfect. Here is the list with all of the ink colours used. Here is the video showing the from start to finish process. I love how crisp and beautiful the finished flowers look. I was thrilled with the end result and it was so easy to do. Beneath the title I added a sentiment stamp from the Beautiful Quotes Stamp Set. Thank you so much for watching and see you very soon. Happy Scrapping. Very pretty! I enjoyed the how-to video. It’s like magic watching the layered images of the stamps make such lovely flowers. Beautiful layout! Thank you for sharing your work process!